With so many islands and experiences to choose from, a French Polynesia honeymoon should be at the top of your list! 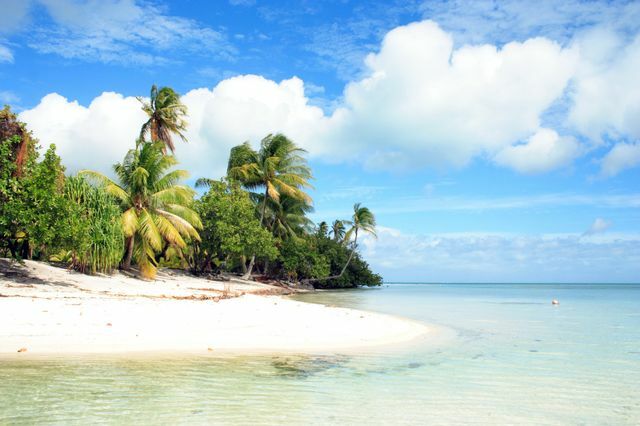 A French Polynesia honeymoon is among the most desired in the world. In terms of the dreamiest, sexiest, beach-iest getaway for a couple in the throes of love, there’s not other destination that compares to this region of the world. Nestled amongst more than 100 islands in the South Pacific and expanding across more than 2,000 kilometers, French Polynesia offers seclusion, romance, picture-perfect beaches, waters and bungalows. 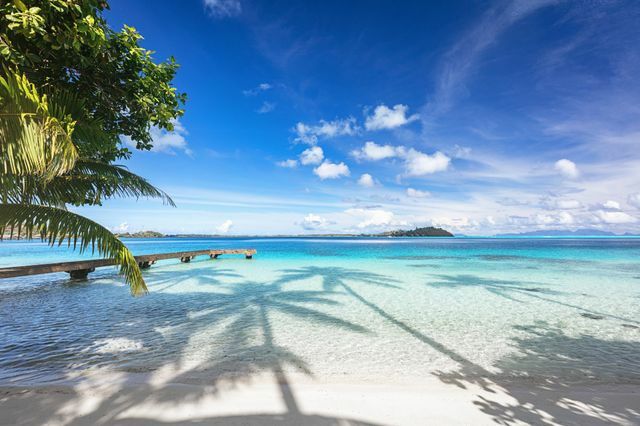 When you’re deciding on which region to explore - from the Austral and Gambier to the Society and Tuamotu archipelagos - you’re sure to find the picture-perfect celebration you crave. No matter which one you choose though, you’ll find lagoons, prime snorkeling of sea creatures and corals, white or black sand beaches, waterfalls, mountains - and countless other landscapes and adventures to partake. Here, a guide to making the long journey for your French Polynesia honeymoon. Considering you’re - legitimately - in the middle of the ocean - you can expect those beautiful sunshine rays for your French Polynesia honeymoon no matter which month you jet set. That being said, much like your new spouse reigned higher than any other suitor you ever met, some periods of the year are better than others. Travel pros recommended visiting somewhere between May and October, with a special sweet spot of June and August, where the climate is dry and the humidity is more bearable. Though you can definitely trek between November and April, you might find the weather uncomfortable and unexpectedly rainy, making for more time to snuggle - or ahem, do other things - in your bungalow. The downfall of the French Polynesia area is that hotel prices are pretty steep, no matter when you venture. 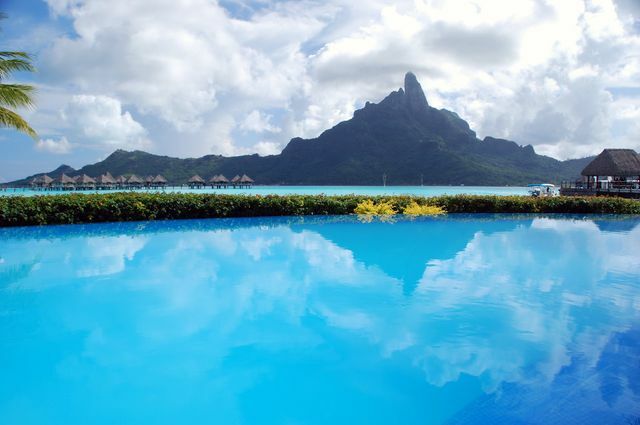 As the largest island in this South Pacific archipelago, no honeymoon guide is complete without a mention of Tahiti. This renowned oasis is famously known for being shaped like a figure-8 and for its climate, where you can expect temperatures to be even warmer. In addition to what you would expect out of a French Polynesia honeymoon with fancy bungalows and super-clear waters, this island is also home to two extinct volcanoes, which many travelers make the journey to see up close and personal. When you’re not adventuring, you can lounge in lagoons, gasp at waterfalls - and pretend you’re newlywed pirates. After all, it’s rumored Captain James Cook toured this island himself in the 18th century. Not just for the over-50 crowd, this small South Pacific island is just a hare northwest of Tahiti. More expensive for sure, for the added cost you reap more value in terms of seclusion and privacy. Legendary for it’s turquoise lagoon that’s encompassed by a coral reef, many scuba diving twosomes will pack their gear to catch a glimpse at creatures as rare as their love for one another. When you’re not exploring the great sea below, you can venture through the turquoise blue lagoon or hike to the top of the 727-meter tall dormant volcano, Mt. Otemanu. 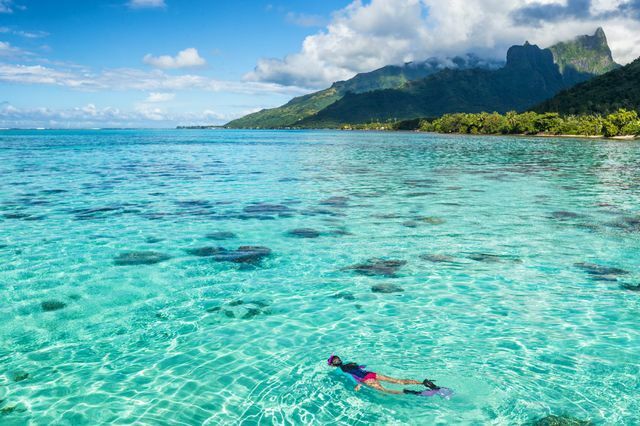 For the couple who wants a bit of ocean, a bit of mountain and a lot of beauty, consider spending part of your first vacation as a married duo in Mo’orea. This part of French Polynesia is known for its vast offering of hiking trails amongst former volcanoes and its pristine beaches. The key here is to go north and south, both offering something different to explore (and take selfies in front of). In the north, trek your way to the top of Mount Rotui that offers sprawling views of Ōpūnohu and Cook’s Bay. Further in, you’ll both love making your way through rainforests on Mount Tohivea, where you can stop at the infamous Belvedere Lookout where if you squint, you can even see Tahiti! Less beachy and more historical, consider making a pit stop at Papeete on the island of Tahiti. Here, you’ll find the port of Place Vai’ete where you’ll get lost in a myriad of food carts, roulettes and plenty of foot traffic. For a local immersion, you can explore the local market of Marche de Papeete, where you can buy vegetables, fruit, fish and souvenirs for your loved ones back stateside. And if you want a pearl to match your diamond, a visit to the Robert Wan Pearl Museum is a must. Though you might not need more than a day or two here, you’ll find yourself more connected to the culture beyond the tourism industry after experiencing this mini city.